SSD – EthosDistro 16GB with operating system and application pre-installed. If you don’t know the first thing about Linux you may want to learn at least the basics. Get started here. Nice thing about GPU rigs is you can get everything you need in a week, and start mining right away. Hi Rolf, this is my first blog post so please forgive me if I’m commenting incorrectly. I financed a medium sized ZEC GPU mining operation and the tech side of the deal is no longer involved. I probably have sooo many questions but first I just want to say thank you for sharing all your valuable experience and knowledge. You are helping lots or people and helping the industry a lot in the process. I have ethOS and msi rx580 GPU’s 8gb. Motherboards are msi z270. None of the rigs are performing at the hashrate I was told they could achieve. Do you have any settings suggestions? I was told the machines are overclocked and undervolted but I’m not tech savvy at all actually and don’t really know how to check. I’m becoming familiar with the ethOS panel but I can’t find anywhere the recommended settings based on my equipment. Can you give me some good guidelines or direct me where to find them? Also, I need to add additional ventilation before the warm weather hits and I wondered if you might share the info on your filtered intake fan as well as your exhaust fan? Thanks in advance, I’m leatning a lot. Rolf – I appreciate your articles and videos. I hope to have my first miner up in my home in about a week as parts come in. I have two quick questions: 1. What is your set up for running GPU miners at 240V? 2. Have you looked at ASRock H110 Pro BTC+? It can handle 13 GPU’s, and it would seem to be a better investment from a power and hardware standpoint. But I haven’t seen anyone with experience with this board. 1. I plug the 240 VAC into the power supply of the GPU miner. It likes higher voltage, because there is less current. 2. I’m not ready to increase the amount of GPU’s per mining rig yet. The most expensive part of the system is the GPU’s, and systems can be somewhat unstable – at least for me. It does not really save much money. But maybe it’s the future – I don’t really know. Have you looked a shrinking cost/unit by using different components? I hear you on the reliability argument, but since you have a nice facility in which to work where noise isn’t a concern, why not try server psu with a breakout board? I’m playing around with a unit from parallelminer (from whom you source your rigs) that I quite like. It’s a bit too loud for the test stand at my desk under but I think it would work well in your facility–and it’s a fair bit cheaper than buying 1200w ATX power supplies. Thanks Wood! I go back and forth on that. I have some server PSU’s in my smaller shop and it works well, but it adds complexity as well. With almost 200 miners now I need something reliable and simple. OP, what would you recommend to get started on a $3000 budget? One of the rigs in this post, or 2 Antminer t9s or s9s? 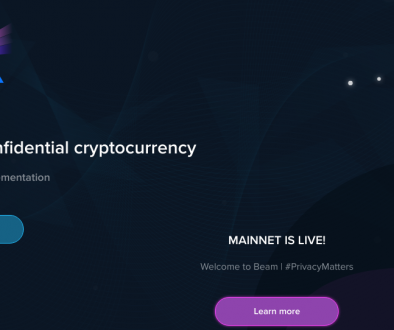 Love the site and I must tell you that I stumbled across you while researching distributed ledger technology for a paper in my Masters Finance class. 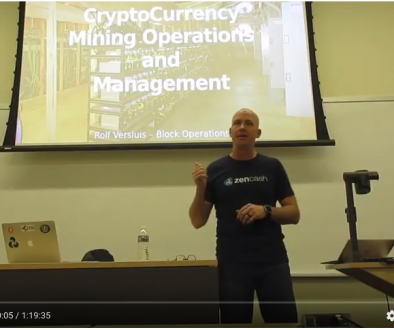 4 hours burned down this rabbit hole and I’m hooked on crypto mining. Enough! must get back to my paper! Thanks Nathan! I would not start with an Antminer S9. Would probably order an Antminer L3+ and a power supply from Bitmain, or would build a GPU miner to start. I looked into a Antminer L3+ but they were out of stock (Sold out). The S9 won’t be available to the middle of January to the 31st. Super article, learning so much from your site Rolf. I really like nvidia cards, have you done any comparisons on the card/mem types for 1070 and or 1060? I also find if you want to use a PC to talk to unix CMDER is your best bet. Super BASH like with git,vim and all the goodies in it. Plus it looks good and it runs claymore output fine remotely as well. Although sometimes if you use screen or TMUX it can get a bit weird on refresh. in a console to see the voltage use, its kind of like a virtual HTOP for my GPU’s when I do tuning found it really useful. 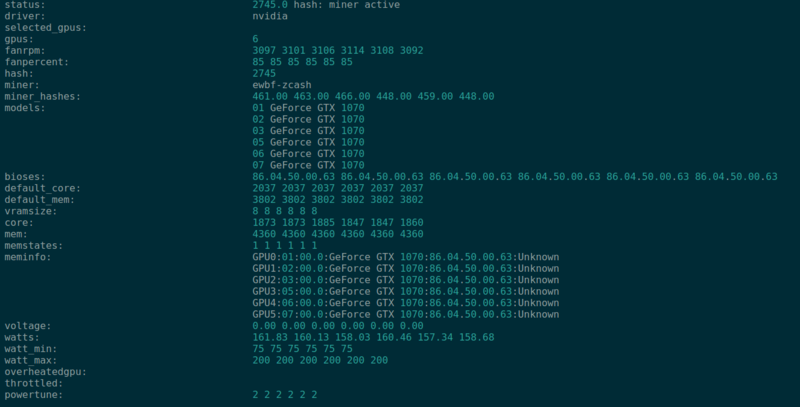 Have you had much experience or result using nicehash compared to pool? They always seem to come up high on whattomine etc. Nice article, and I today I was about to buy a similar setup. But I’m struggling to convince myself to spend 3000USD on GPU-miners. Difficulty of all GPU-minable alt coins has exploded and still grows exponentially. 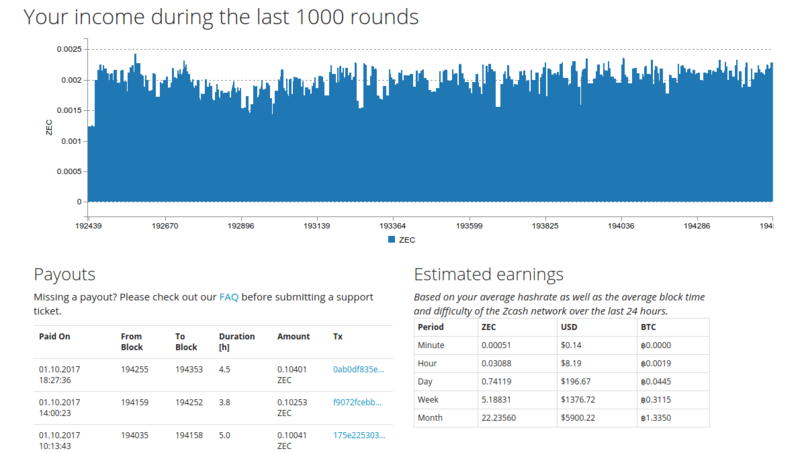 Low coin values also doesn’t help, but the rapid increase of difficulty makes mining seem pretty stupid: you hardly get any coins from mining. So even if prices will increase, isn’t it more profitable to spend those 3000USD directly on an exchange and but some ZCL and NLG? when I run the numbers it never seems to make sense to mine. But then I do it and it is profitable. At least for the last 2 years it has been. Not sure about ZCL or NLG right now. I don’t understand either project and what their goals are. I stay away from things I don’t understand. Thank you very much for your great tutorials. My rig is finally running with one GTX 1060 for testing and learning. In one month I will carry the system to Iran and start mining there with 6 gpus. I hope secure nodes on zencash will be released soon that I can set up one there, too. Thank you for helpful information. I looked all over the internet and I found your Blog is the best and it’s awesome. on NVIDIA GEFORCE GTX 1070 Ti Supplementary Power Connectors are 8-pin. Excellent guide to build ethereum mining rig, If you want to build with cheap hardwares than visit here. compares to 1070 listed in the post? Hi Rolf – Thanks for the great info! I’ve purchased all the items in your list, and built my miner with the first GPU. What do you do about PSU cables for 6 GPUs? It looks like the HX1200 doesn’t have enough cables to power-up 6 GPUs. Do you buy additional cables? Am I missing something? Thanks Rolf for the guide, I set this up and encountered the same issue with the PSU as Tim Walters, that is the lack of 6+2 pin PCI-E slots for 6 GPUs and the Motherboard meaning I run out of power slots. Can the risers be powered off the Peripheral & SATA 6 pin connections? Thanks Tim, that’s awesome – I’ll give them a go. Rolf, it might be worth updating the comprehensive guide above, which is excellent BTW, to include the information regarding the cabling. Hi Rolf, Firstly great blog. Thanks for sharing your knowledge. Just had few quick questions.. a.) What are your thoughts on going for a pre-built ASIC miner (or rig) instead of building one for the first time? I assume building one with say 6GPUs might save upto 1500$ (instead of buying it), but do you think its worth it for a newbie? b.) I’ve heard of mining software crashing often, and there being a need to restart them often. Have you faced this issue? 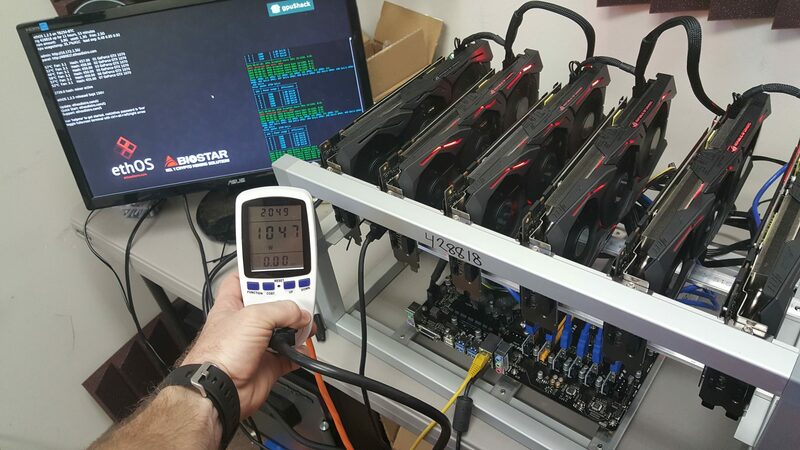 c.) can temperature on a rig be controlled (like maybe mine fewer coins for lower temp)? I’ve heard an apartment could get pretty hot with one of these. For all the videos, blog posts and time taken to educate the general public. It is greatly appreciated!!! I have been reading and watching for almost a week trying to get a grasp of the how I am going to test the waters , so here is the initial plan. Time to refurb one of my computers from when I had a computer shop. After 5 yrs of collecting dust. (I started in 1996 and put down my tools in 2012) I am ready to get it together to get back into it for myself. It’s a start… The price of the RX 580 8GB was pretty good ($370 cdn) The 1070 and in the $630 CDN starting range and hard to justify to recoup at the moment. As I wait for a real video card to test Ethos out on, after 4 years and with a puff of smoke I have the old system running. 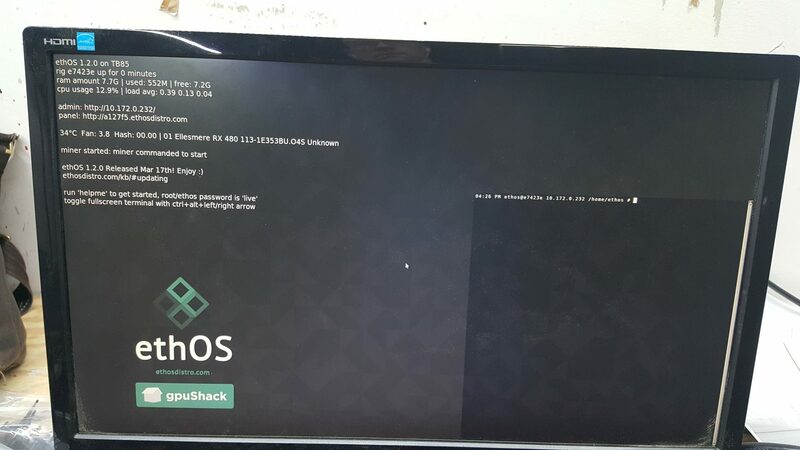 The ASUS 5850 just doesn’t cut it, but Ethos is running on a 32GB USB drive and very stable right now. Amazing stuff you are doing. Besides the manufacturers websites, where do you recommend buying asic mining equipment? Ideally, they would accept bitcoin as currency. Great article! 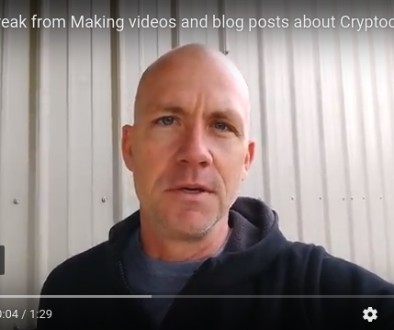 Question: will EthOS limit us in terms of what currencies we can mine? Also in regards to the CPU, will using a cheaper duo core limit us in any way? The last thing you want is to run 6 GPUs bottlenecked by the CPU running the system. I was investigating how to build a gpu rig and came upon your article, looks great, but the gpu you recommend is $570.00 per unit on amazon at the link you provide. That makes it considerably more than the $3500 doesn’t it? I didn’t add up the other components, but the gpus are possibly more expensive now than when you created the guide? Do you have another recommendation for a similarly functioning gpu to make this build with? Send me an amazon affiliate link to click on and I will, no worries there, will gladly help u get the commission. Thanks for the response I did find them much cheaper elsewhere. Can you tell me one more thing, is mining with a 6 GPU rig like this profitable similarly to mining with an antminer s9 for Bitcoin? Will it bring in approximately the same $ when converted to usd? I ask because I wonder if I should focus on purchasing antminers for Bitcoin or do 6 GPU setups, or both at the same time? I ended up buying the ASUS Geforce GTX 1070 rog oc from acme micro systems for 500$ each. Best I could find. Great blog and videos! THANK YOU FOR SHARING YOUR EXPERTISE. I want to build the 6 GPU mining with Nvidia GTX1070, my question is how many cryptocurrencies can I mine? Just one at the time? For a beginner which one should I start with? Excellent! Thank you, Rolf. How much do you think I will make per month with one ring? And overall amount, just guessing based on your experience and expertise. Thanks again. What do you think about this card to build a ring PNY GeForce® GTX 1070 XLR8 Gaming Overclocked Edition nVidia® Pascal™ 8GB GDDR5 PCI Express 3.0 Graphics Card. The one you mention in your blog it is not available anywhere. Thanks a lot for your feedback. First of all thanks for all the info which was very helpful. I am interested in building a rig but as far as i can see all the suggested GPUs are very expensive right now and the prices differ from 700$ to 1000$ (GTX 1070-1080 series). My question is, would you recommend using something cheaper like GTX 460-470 4GB series which are around 250$ or any card of that sort anything up to 350$ per say? My target is to build up 1 rig, to see how it goes and then continue building new ones. Worst case scenario i will end up with a monster gaming pc. Can you use a apw3++ for this type of set up? Rolf, thank you for the very detailed and easy to understand info! I’ve been on the fence for a bit wondering if I can configure a rig correctly under Linux and if it is worth the trouble for the amounts earned. I believe I’ve been able to answer both those questions and bring my budget down to a realistic starting point with smarter choices rather than going for top notch out of the gate. Your sharing of precious data is a great asset to us beginners, it’s much appreciated! If I use 1 GTX1070 instead of 6 GPUs is the amount of ZEC mined reduced proportionately (i.e. exactly one-sixth the amount of using 6 GTX1080)? Or would the amount of ZEC which you can mine from 1 be less than one-sixth.